If you are a single woman or lesbian couple considering using a known sperm donor or entering a co-parenting arrangement it is wise to arrange for a documented parenting agreement with the father of your child before conception takes place. There have been legal cases over the past decade highlighting casual known sperm donor agreements between women and their donor whereby arrangements were discussed prior to conception yet nothing was documented. In this situation a court is faced to deliberate between two versions of accounts about conversations that took place and what was apparently agreed. The child’s welfare in a situation like this would form the forefront of the court’s decision. An example of a co-parenting agreement. Your co-parenting agreement does not have to be some fancy piece of script with a load of legal jargon that nobody understands. It can be a piece of paper with simple sentences, paragraphs and lists of the things that are important to you as parents-to-be. Your agreement should be clear, concise and signed. Writing a co-parenting agreement is not easy however it is necessary to protect everyone’s rights as parents and prevent heartache in the event of a fallout. Discuss each of your roles, be as clear and honest as you can and try to think day to day practicalities. Who may also be referred to herein as the PARTIES. 2. DONOR has agreed to provide his sperm to RECIPIENT for the purpose of artificial insemination. 3. DONOR will receive no compensation from RECIPIENT or PARTNER of the RECIPEINT. 4. Each party acknowledges and agrees that, through the procedure of artificial insemination, the RECIPIENT is attempting to become pregnant. It is our intent that such inseminations shall continue until conception occurs or until no longer desired by RECIPIENT or PARTNER of the RECIPEINT and/or DONOR. 5. Each party acknowledges and agrees that DONOR provided his sperm for the purposes of said artificial insemination, and did so with the clear understanding that he would not demand, request, or compel any guardianship, custody or visitation rights with any child(ren) born from the artificial insemination procedure. Further, DONOR acknowledges that he fully understands that he would have no paternal rights whatsoever with said child(ren). The DONOR will respect the confidentiality of the RECIPIENT, the PARTNER of the RECIPIENT and their CHILD. The DONOR will not intrude into the lives of the RECIPIENT, the PARTNER of the RECIPIENT and their CHILD. The DONOR will not directly contact the CHILD, unless invited to do so by the RECIPIENT and/or the PARTNER of the RECIPIENT. The DONOR will not undermine the parental responsibilities and rights of the RECIPIENT and the PARTNER of the RECIPIENT. 6. Each party acknowledges and agrees that RECIPIENT and PARTNER of the RECIPIENT has relinquished any and all rights that she might otherwise have to hold DONOR legally, financially, or emotionally responsible for any child(ren) or medical expense that results from the artificial insemination procedure. 7. The DONOR will complete appropriate counselling through a fertility clinic prior to insemination. The DONOR is therefore mentally and emotionally prepared to be a successful donor without getting involved in the life of the CHILD. 8. By signing this AGREEMENT the RECIPIENT and the PARTNER of the RECIPIENT have agreed to contact the DONOR with photographs and/or text of one or more of the following events in the life of the CHILD: Birthdays, Illnesses, Marriage, Children and any other significant events. Any photographs received by the donor should not be published or shared socially or publicly. The DONOR would not want the CHILD to believe that the DONOR did not have an interest in the welfare and happiness of the CHILD. Each PARTY therefore acknowledges and agrees that the DONOR has a legitimate interest in how the CHILD is progressing in life but only via occasional contact with the RECIPIENT and the PARTNER of the RECIPIENT and at the discretion of the RECIPIENT and the PARTNER of the RECIPIENT some possible contact with the CHILD. 10. Each party acknowledges and agrees that the sole authority to name any child resulting from the artificial insemination procedure shall rest with RECIPIENT and PARTNER of the RECIPEINT. 11. Each party acknowledges and agrees that DONOR will not be named on the birth certificate of any child(ren) born from the artificial insemination procedure. The RECIPIENT will be the named mother and THE PARTNER OF THE RECIPIENT will be the named second parent on the birth certificate. The RECIPIENT and THE PARTNER OF THE RECIPIENT will therefore be recognised as the two legal parents of the CHILD and agree to this. 12. 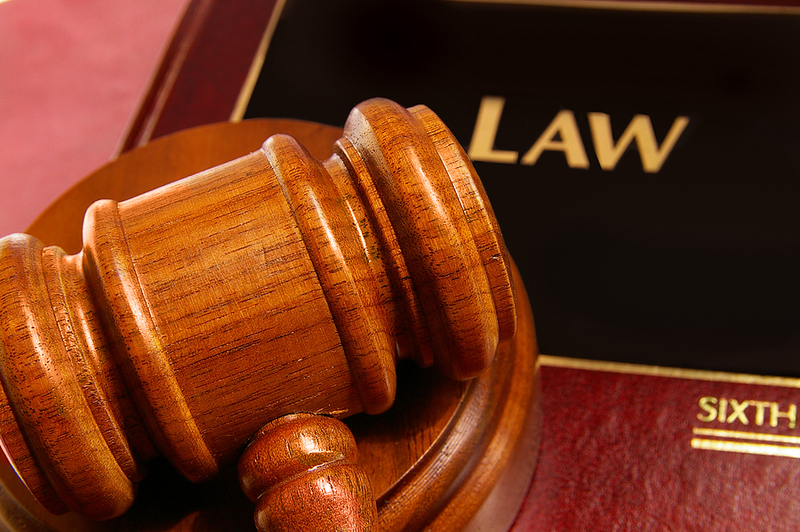 Each party relinquishes and releases any and all rights he or she may have to bring a suit to establish paternity. 13. Each party covenants and agrees that, in light of the expectations of each party, as stated above, RECIPIENT and THE PARTNER OF THE RECIPIENT shall have absolute authority and power to appoint a guardian for their child(ren), and that the mother and guardian may act with sole discretion as to all legal financial, medical and emotional needs of said child(ren) without any involvement with or demands of authority from DONOR. 14. Each party covenants and agrees that the identity of the DONOR shall be made known to the child(ren) at a time and in a manner to be determined solely by the RECIPIENT. Each party reserves the right not to disclose his identity to any others, and RECIPIENT and THE PARTNER OF THE RECIPIENT agrees not to disclose DONOR's identity to any specific persons upon his written request including full names. 15. Each party acknowledges and agrees that the relinquishment of all rights, as stated above, is final and irrevocable. DONOR further understands that his waivers shall prohibit any action on his part for custody, guardianship, or visitation in any future situations, including the event of RECIPIENT's and THE PARTNER OF THE RECIPIENT disability or death. 16. Each party acknowledges and understands that any future contact the DONOR may have with any child(ren) that result(s) from the artificial insemination procedure in no way alters the effect of this agreement. Any such contact will be at the discretion of the RECIPIENT and THE PARTNER OF THE RECIPIENT or appointed guardian, and will be consistent with the intent of both parties to sever any and all parental rights and responsibilities of the DONOR. - Within seven days subsequent to the hearing, the arbitration panel will make a decision and communicate it in writing to each party. 18. Each party acknowledges and understands that there are legal questions raised by the issues involved in this AGREEMENT which have not been settled by stature or prior court decisions. Notwithstanding the knowledge that certain of the clauses stated herein may not be enforced in a court of law, the parties choose to enter into this AGREEMENT and clarify their intent that existed at the time the artificial insemination procedure was implemented by them. 19. Each party acknowledges and agrees that she or he signed this AGREEMENT voluntarily and freely, of his or her own choice, without any duress of any kind whatsoever. It is further acknowledged that each party has been advised to secure the advice and consent of an attorney of his or her own choosing, and that each party understands the meaning and significance of each provision of this AGREEMENT. 20. Each party acknowledges and agrees that any changes made in the terms and conditions of the AGREEMENT shall be made in writing and signed by both parties. 21. This AGREEMENT contains the entire understanding of the parties. There are no promises, understandings, agreements or representations between the parties other than those expressly stated in this AGREEMENT. Known sperm donor agreements are not legally binding under UK law so they would not replace parental financial and legal responsibilities however agreements do provide clear evidence of what each party agreed prior to conception and they do stand up in a court of law if there is a dispute. A co-parenting agreement does not need to be witnessed by a solicitor in order for it to be formalised however gaining legal advice before entering a co-parenting arrangement would carry weight in a court if there was a legal battle. Two parents or three parents? A child can legally only have two parents even if there are three or more people are involved in the process of making the baby. The birth mother is always the legal mother and by law she must be registered on the birth certificate. The other legal parent is the spouse of the birth mother (wife or legal partner) or possibly the biological father. 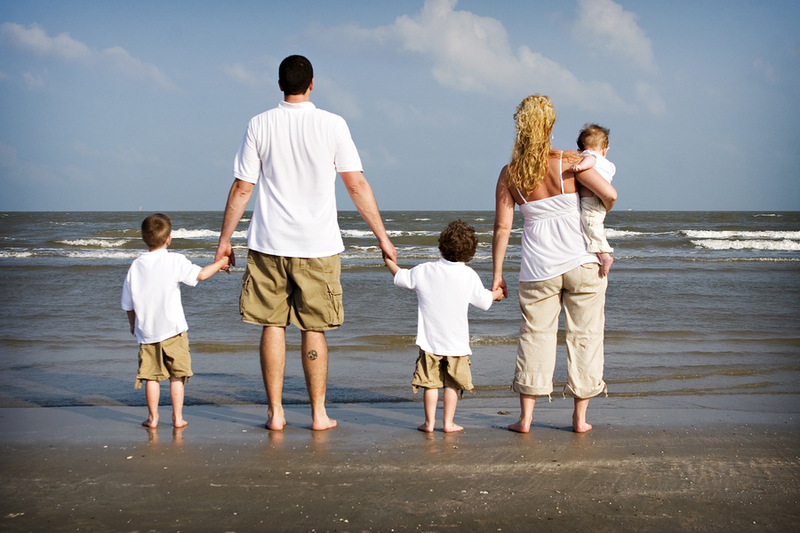 Find out more information here about parenting rights of sperm donors. If a lesbian couple are entering a co-parenting arrangement with a sperm donor and they are married or civil partnered then they must both be on the birth certificate as they automatically share parental responsibility. 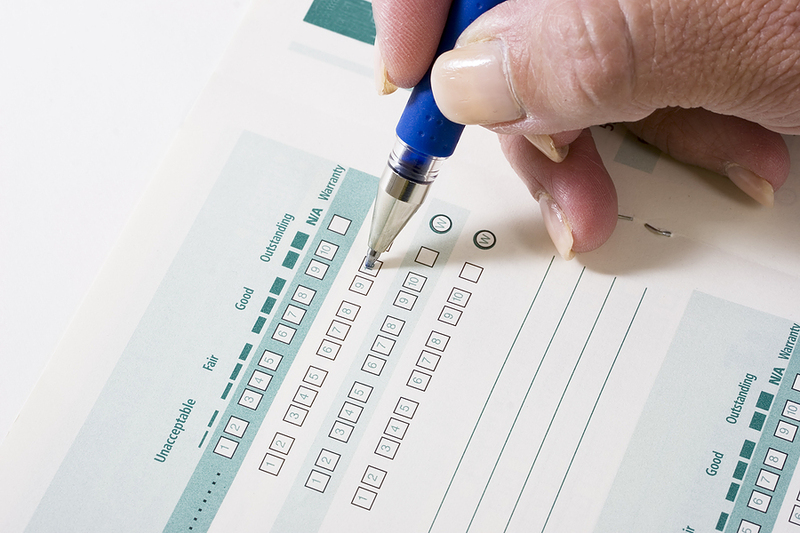 If they are not married they can choose to register the sperm donor on the birth certificate. By doing this it would give parental responsibility to the sperm donor. 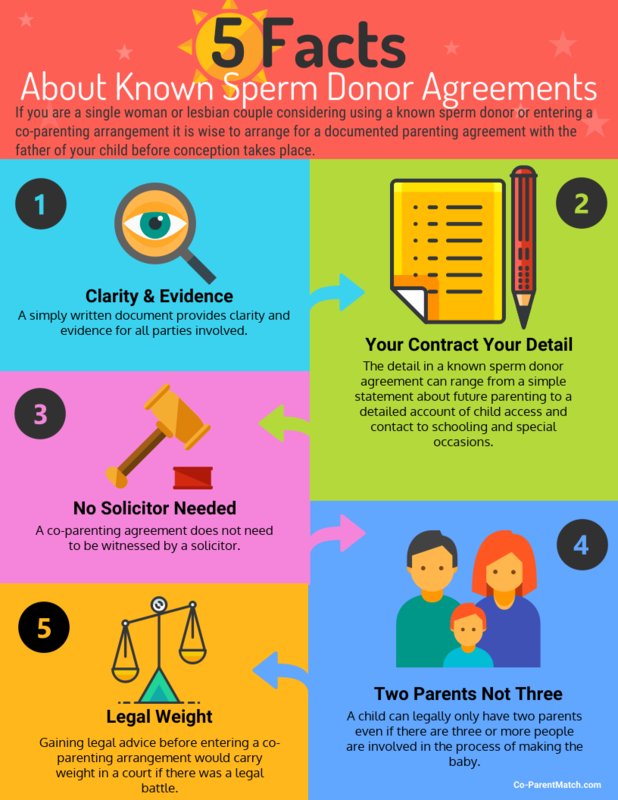 Whether you spend hours writing a thorough documented co-parenting agreement or 10 minutes jotting your personal parenting preferences get your agreement written and signed before conception.